Both Batman and Jesus came from a well to do family and eventually gave up their comfortable life in search of something more bigger than themselves. Being a carpenter in an ancient Jewish set up meant that one had the skill and opportunity to build many things. It was certainly one of the ‘better professions’ to be in. Similarly for Batman, Wayne Enterprises was his father’s company. The lives of both Batman and Jesus revolved around a particular city – Gotham and Jerusalem respectively. And the citizens of these cities failed to recognize the efforts of its heroes. Both Batman and Jesus had a set of close associates and at least one of those associates rejected the principles of their heroes to tread in a completely opposite direction – in Jesus’ case it was Judas Iscariot & in Batman’s case it was Harvey Dent a.k.a Two-Face. Both were misunderstood by their own people or by citizens of their own cities. 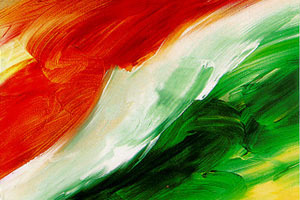 And both were rebels in their own way – challenging notions and norms. Both Batman and Jesus had conflicts within themselves about various issues and spent time in isolation seeking meaning. Jesus spent forty days and nights in the desert, all by himself – seeking, debating, thinking and fasting. Batman spends time travelling the world, learning the various aspects of the criminal mind – seeking, debating, thinking and training. At some point in time they even expressed doubts in their own self and capabilities. Eventually, they approach their specific missions with such a strong will that the thing they fear the most becomes a symbol of their identity – in Batman’s case it was bats and in Jesus’ case it was the cross. Oedipus, Medea, Lear, Hamlet, Macbeth and many other protagonists in world drama are flawed and vulnerable characters. Just like Batman and Jesus. Both of them deny themselves a ‘heroic status’ in their society. And in both of their cases, the villian was a villian long before the hero arrived on the scene and the hero had no part in turning him into a villian. The hero doesn’t become a hero simply because he takes a stand against the villian; he becomes a hero because he stands for something. This can be justice, a cause, his family, friends or community. Invariably, while the villian stands for himself, the hero stands for something beyond himself. Both Batman and Jesus sought power and challenged the existing law makers / law givers. But it was never for their own self-aggrandizement. It was for something beyond the self, something that is higher and more valuable than one’s own pleasure or even one’s own life. The transcendent cause they struggled with was bigger than themselves. Both Batman and Jesus were attached to people – especially the friends and family whom they loved. And both of them struggled to explain and deal with this attachment. Eventually both of them learnt to outgrow the attachment and sacrifice it for a bigger cause. Thus, Bruce Wayne becomes ‘The Batman’ and Jesus becomes ‘The Christ’. 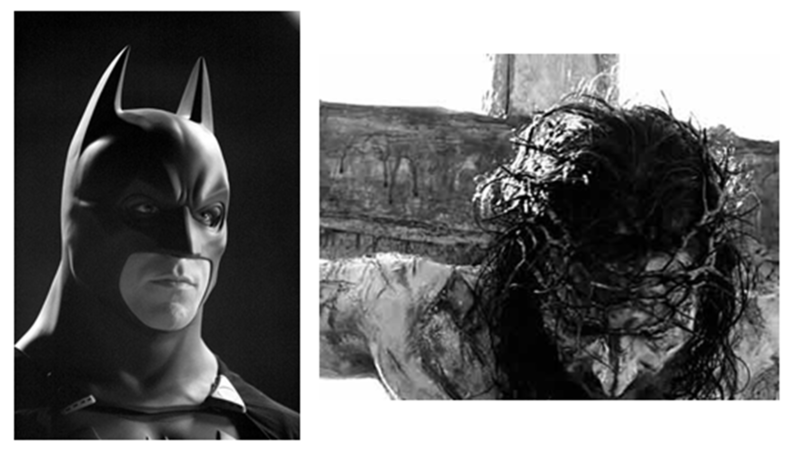 Disclaimer: This post is a comparison between Christopher Nolan’s cinematic adaptation of the fictional character ‘Batman’ created by Bob Kane and Bill Finger and ‘Jesus Christ’ as depicted in the various holy texts of Christianity. ~ by rb on December 31, 2011.